Home practice exactly matched to the school curriculum. Everything you need to know. Nothing you don’t. Why waste time studying the wrong stuff? Keep your studies on track with our bestselling workbooks. We’ve done all the planning for you, tailoring these activities to fit the school curriculum exactly. That’s right: 100 targeted ready-made activities in each book, covering precisely what you need to know. And they’re fun and colourful. Don’t be left behind. Get kitted out for success. 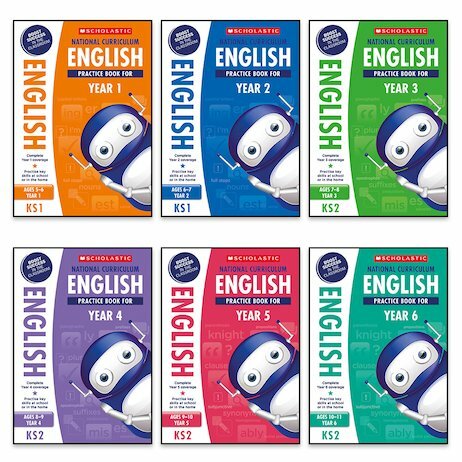 This pack contains one copy of all six English practice books for Years 1-6.